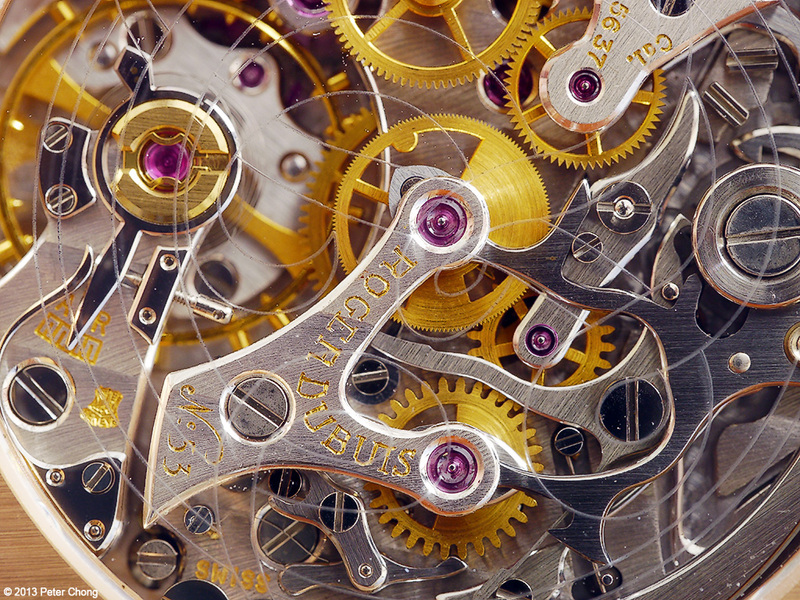 Roger Dubuis...this brand have had a mystique since its early days when Mr. Dubuis was running the company...after his retirement from Patek Philippe. 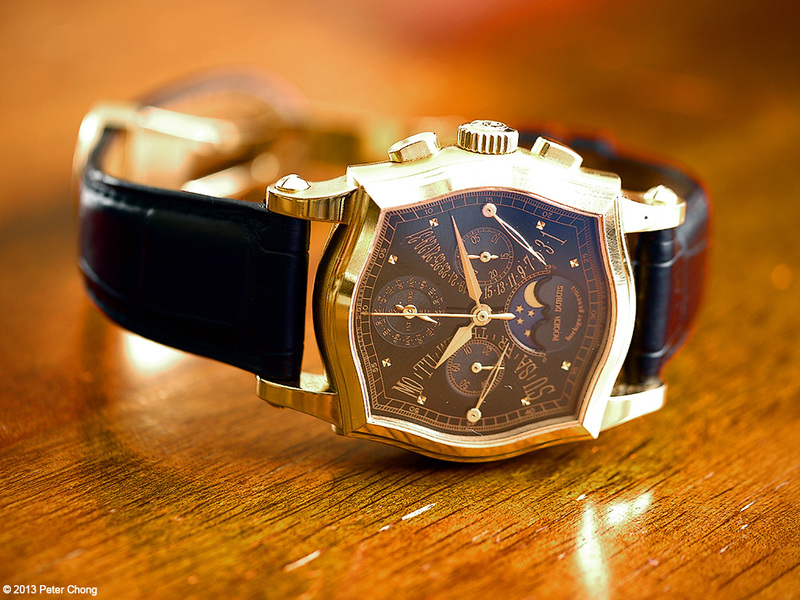 The Symphatie case, as shown here today in the now classic Bi-Retrograde Perpetual Calendar Chronograph was a wonder in those days...still is. Then Carlos Dias took over the company, and for me, Dubuis as a marque lost its appeal...with the new watches then tending on the obsene...both in price and design. The simple, yet complex curvy elegance of the Symphatie case was gone...later versions sported a round front crystal as opposed to the sensously form which echos the curves of the case. 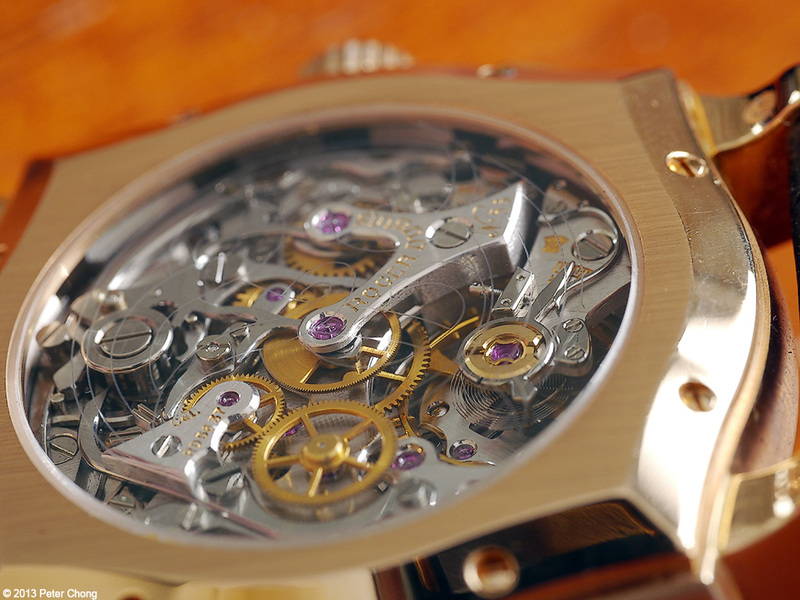 The movement, more or less similar to what Patek puts in their 3970, but with the added complication of the bi-retrograde. Magnificent. Beautifully finished. 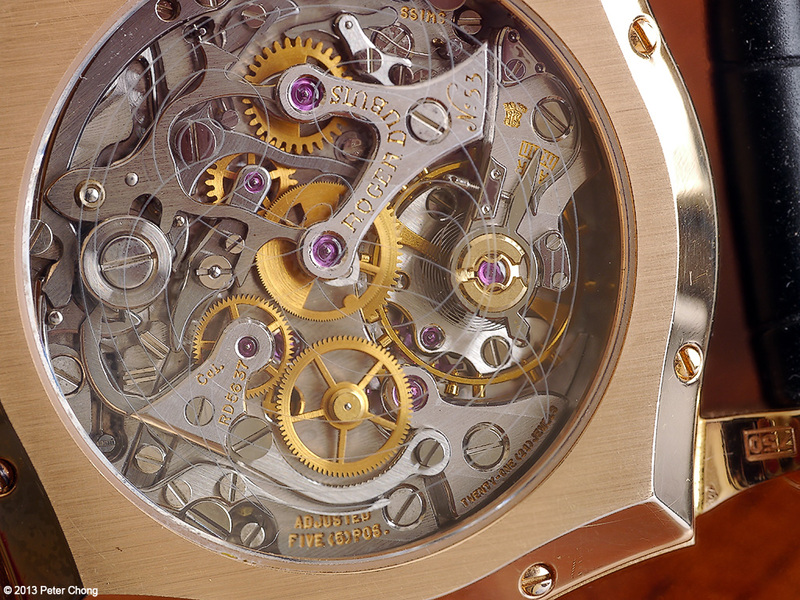 I am two minds about the engraving on the rear crystal, as it mars the view of the wonderful movement. Very nice indeeed. 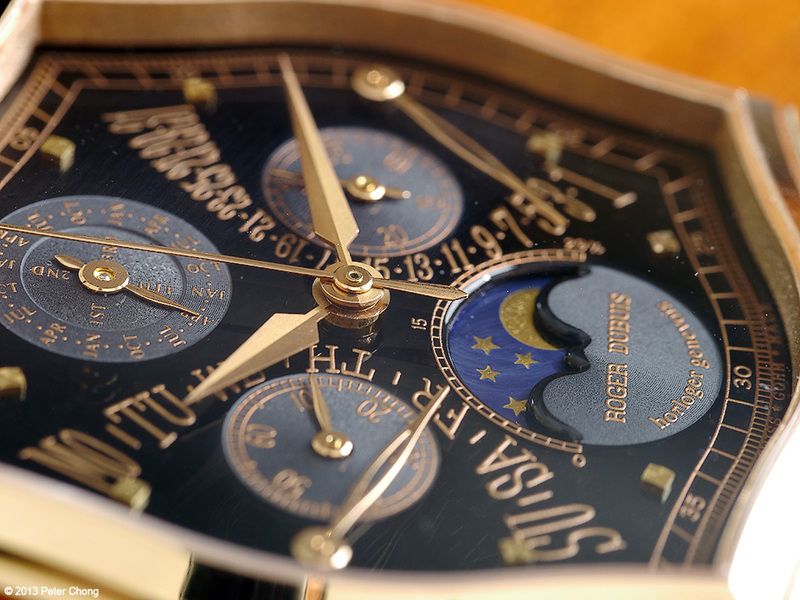 Recently, the company was acquired by Richemont, and under the charge of Georges Kern, it is begining to return to its roots...but in a less horogologically significant way, in my opinion. 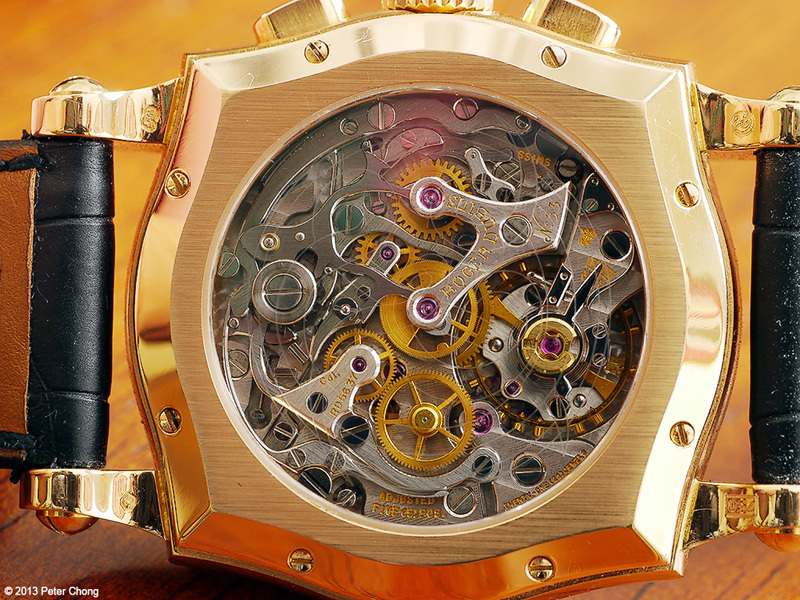 The newest watches are now less over the top than it was during Carlos's time, but arguably still quite commercial in its intent, and not targetted at horology enthusiasts. I wish they still make them like they used to.